My co-worker recently called me the key lime whisperer. I think it was a term of endearment (right?) because of my love of anything and everything key lime. It stems from growing up in Florida and being surrounded by citrus fruits. Key limes were front and center (that and grapefruits and honeybell oranges). It is pure nostalgia I think. We had a key lime tree in our backyard so key limes were used in everything. They were just as common place as regular limes, maybe even more so. I even remember ordering a key lime pie martini when I was barely old enough to drink- the rim was lined with crushed graham crackers-amazing. 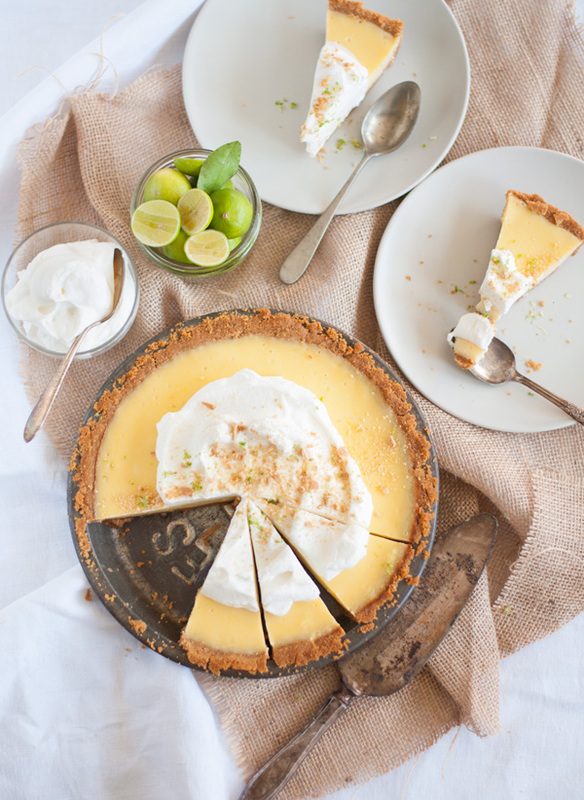 But my love of key limes in its purest form is found in a big slice of delicious key lime pie. I recently went home to Florida and we drove to central Florida where citrus is everywhere. Gas stations have citrus stands, highways are filled with open bed trucks overflowing with oranges and grapefruits. So often when you think of Florida you think of beaches, people's grandparents and South Beach. But I was reminded this trip that there is so much more. I dare say that the farming/swamp land of central Florida rivals the prettiest of beaches. 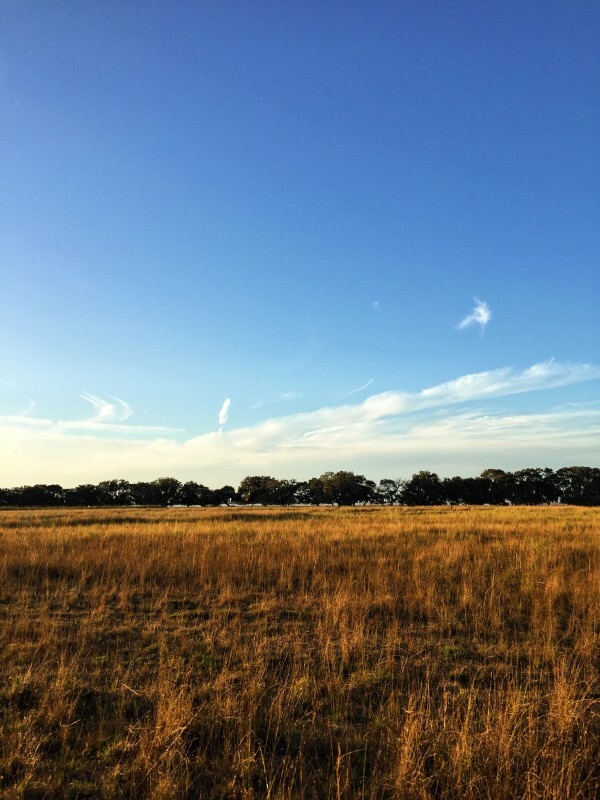 Miles of flat grassland dotted with cows. 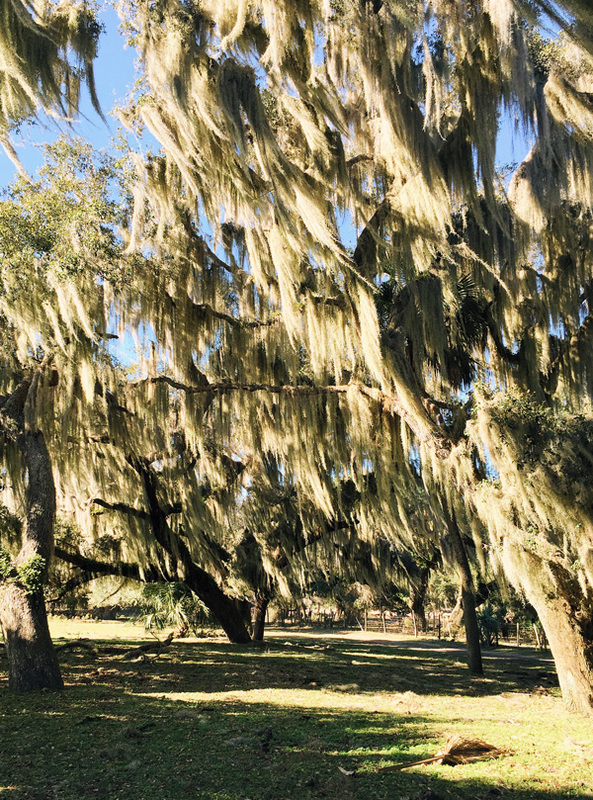 Huge oak trees with moss dripping off the branches. There is something so quiet and calming about it. Maybe I am a little homesick for Florida but in my opinion this part of Florida is home to some of the most stunning scenery around. One of these trips home I want to go and meet some of the citrus farmers or the strawberry farmers. Maybe even a cow farmer. One of these days. Or heck maybe just go live there off the grid with a bunch of rescued animals. Well maybe. But for now we will have to settle on some of my pictures from my quick trip to Florida as well as my favorite key lime pie recipe. 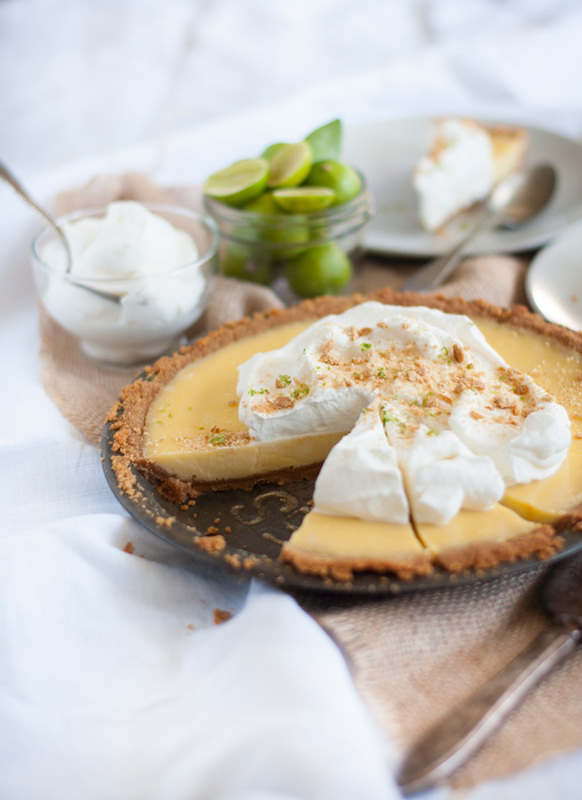 This key lime pie is easy to put together. Like almost all pies, make it a day ahead and chill it in the fridge until ready to eat. If you can't find fresh key limes or quite frankly don't feel like squeezing those tiny little limes, I like bottled key lime juice from Nellie & Joe's . Top it with as much whipped cream as you can possible handle and enjoy. In a food processor, pulse the graham crackers, sugar and pinch of salt until finely ground. Add the melted butter and pulse until the mixture has the consistency of wet sand. Gently press the graham cracker mixture into a 9" pie plate. Bake crust for 5 to 7 minutes. Set aside to cool completely. In a bowl combine sweetened condensed milk, egg yolks, key lime juice and pinch of salt. Whisk until completely smooth. 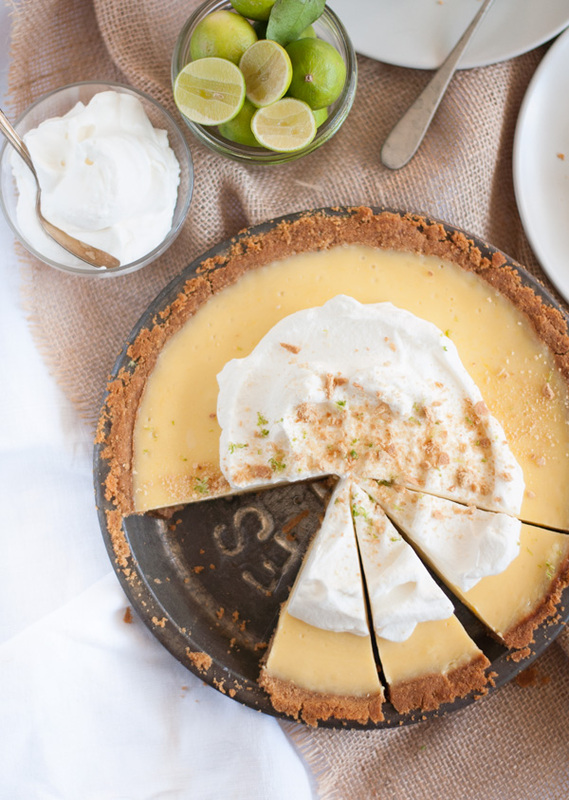 Pour key lime mixture into pie crust and bake for 15 to 20 minutes or until the pie is just set in the center. Set aside to cool, then chill in the refrigerator for at least 8 hours or up to 3 days.